Have you ever had a spot inside your mouth, perhaps on the inside of your cheek or tongue, that was painful and white? Most likely, this was a canker sore. Getting rid of canker sores quickly and naturally can be difficult for some people. Here are some easy to apply solutions that anyone can benefit from to help get rid of canker sores quickly. Canker sores, also called aphthous ulcers, are small, shallow sores on the inside of the mouth, most commonly on the inner cheek, tongue surface and even gum tissue. They are painful, white open sores that have a reddish, inflamed ring around the sensitive, white inner surface. To understand how to quickly get rid of canker sores naturally, it’s helpful if we briefly discuss what causes canker sores so we can avoid the circumstances that provoke their creation. Western medicine really doesn’t know what is the ‘cause’ of canker sores. However, several triggers have been identified that increase the risk of getting a canker sore. So, as you can see, canker sores show up when the body is under some form of stress, whether that’s psychological, nutritional, or trauma to the tissue. What can we do to get rid of canker sores quickly? Navigating the path to optimal oral health often involves applying strategies ‘in the mouth’ as well as ‘whole body immune support’. Getting rid of canker sores quickly and easily is no different. Below you’ll find several strategies to apply both ‘in the mouth’ as well as ‘system wide’ to help you along this path. We have included simpler steps anyone can take first. If you want to take a ‘deeper dive’ on this subject (or have some serious pain from recurring canker sores to motivate you) you may want to try some of the later ideas as well. Health giving oral hygiene is about keeping the mouth clean, not sterile. We encourage the use of oral hygiene products and strategies that help reduce the risk of ‘bad bugs’ colonizing in the mouth. These bad bugs encourage an acidic pH in the mouth which slows the healing of canker sores. Using products that only have ingredients designed to help support, heal and soothe and learning how to brush your teeth, floss consciously and clean your tongue are all excellent strategies to support optimal oral health. Another ancient strategy that helps maintain a clean mouth while encouraging a balanced oral pH is oil pulling. 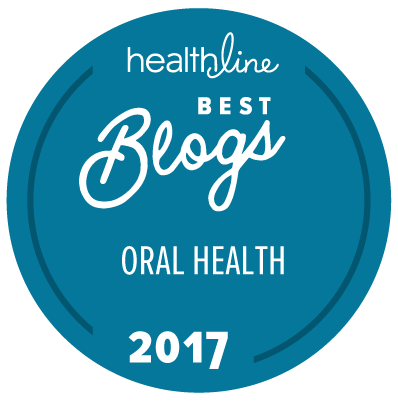 In fact, we dedicated an article titled, ‘How oil pulling helps improve oral health and whole body wellness’ to this oral hygiene strategy that has stood the test of time. If you have a particular place where you semi regularly chomp your cheek (which can easily become a canker sore after), be sure you increase your awareness while chewing. Eating while reading or while watching TV are sure ways to increase your risk of chomping on your cheek (or tongue OUCH). Once the tissue is traumatized by a chomp, the risk of canker sore in that area goes up substantially. Speaking of eating foods, reducing acidic foods can help the mouth pH balance to encourage healing of the canker sore. I personally have to be really conscious when a plate of ripe pineapple is in the house as I’ve found if I eat more than a few chunks, my risk of canker sore goes way up. Just last night after enjoying a few pieces I immediately rinsed my mouth out with a drop of our OraWellness Healthy Mouth Blend which really helped to restore balance to my oral pH. If you like to consume naturally acidic foods for their alkalinizing benefit to the system, perhaps check out an article we wrote about how to drink kombucha and not destroy your teeth. This article shares a simple strategy how to gain the benefit of these naturally occurring acidic foods (like lemon water or apple cider vinegar) without provoking more acidity in the mouth. 4. Support the stressed tissue. To help reduce the pain of a canker sore and to support the tissue to heal more quickly, I put a drop of our Healthy Mouth Blend on my finger and gently rub the canker sore. The Healthy Mouth Blend helps to soothe stressed nerves and reduce pain while encouraging a healing pH at the site of the wound. Sugar consumption provokes nutritional deficiency, raises stress by increasing blood sugar fluctuation, causes the mouth pH to be acidic, and directly undermines our body’s ability to heal itself. This is particularly so for sweet ‘snacks’ between meals that spike our blood sugar and makes us more nutritionally deficient by suppressing our hunger sensations for real nourishment. If you have to just pick one action, cut the sweets. 6. Eliminate wheat and other gluten-containing foods from your diet. Recent research has found a very interesting correlation between a person getting semi-regular canker sores and IBD (irritable bowel disorder) and celiac disease. Consider what a canker sore really is, an ulcer in the mouth (the start of the digestive tract). Taking a broad view, it make sense that if you are sensitive to gluten (as is the case for people with either IBD or celiac) the mouth is really showing you what’s happening ‘downstream’ in the small intestine. If you get canker sores fairly regularly, take note of what triggers seem to provoke your system to stress out. By keeping an eye on what foods or other stimuli might have caused the imbalance, you can avoid the painful canker sore from erupting again. What about you? Have you noticed any particular foods or habits that seem to increase your risk of getting a canker sore? I’ve always gotten cancer sores from eating too many walnuts or peanuts. Someone told me that it was because of their arginine content. Chocolate is another trigger that is also high in arginine. However, seaweed and shellfish are also high. Maybe I haven’t eaten too much of them like I have when sitting next to a bowl of salted roasted peanuts. Thanks for chiming in here on this subject. Agreed on the walnuts for me too. Interesting info about arginine. I’ll have to look more deeply into that one. I first learned that l-arginine caused cankers when following The Rosedale Diet, a book pub 2004,which advocates taking arginine. Result was many cankers. I research to validate my experience and found it to be true, while lysine fights cankers. Have used lysine for years in high doses for several days to get rid of them, and on a maintenance basis, take about 2000 mg a day as a preventative. To get rid of canker sores very quickly and easily: L-Lysine tablets 500 mg chewed every hour till sore is gone. The quicker you start the quicker you get rid of it. You can buy L-Lysine at pharmacies, Target, Walmart, etc. Usually comes in 1000 mg tabs, so just cut in half. If you feel one coming, start the L-Lysine and you can get rid of it in a few hours. Thank you for this! I’ll research about L-lysine and report back! The Lysine worked for me as well. I suffered from them all throughout childhood–especially when I had braces! As a young adult I was told about using Lysine to get rid of canker sores. This was in the 90’s and I just bought the walmart brand. It worked like a charm! I did not chew them, however. Thanks for sharing! Makes sense that the braces could have initiated more canker sores due to the tendency of them irritating gum and cheek tissue. I’ve had a lot of canker sores ever since taking antibiotics over a 2 year period which ruined my gut, both the lining and the balance. The sores are very painful and I searched for a long time to find a resolution. What works best for me is the supplement L-lysine. I can take about 1,500 mg to 2,000 mg at night before going to bed, away from food, and the next morning they are on the mend and the pain is much reduced. I continue taking it for 3-4 days reducing the amount as time goes on. I also eat foods that change my pH more toward alkaline, reducing acidity. All the other comments above are helpful too, but I get fast results with L-lysine and some other immune system enhancing supplements like IP-6 with Inositol. Thanks for sharing! Please share more about IP-6! It sounds interesting! By the way, thank you for always bringing up such interesting topics. I have never seen the topic of canker sores brought up on an open forum like this. What is your take on the difference between canker sores [tongue] and cold sores on the inside of the lip and cheeks? Since the L-lysine works for me, I was starting to think that the herpes virus running rampant might be the culprit. Most of humanity has had chicken pox and thus has the herpes virus lying dormant until some stressful situation triggers it. THANK YOU Will. Nice job. Canker sores and cold sores are definitely not the same. Canker sores are ulcers in the mouth whereas cold sores are blister clusters on the outside of the mouth. If the sores you are referring to on the cheek are on the inside and similar looking as those on the tongue, they are most likely canker sores. Thanks for your explanation. I do not get any sores on the outside of my mouth, only on the inside. The ones on the tongue are hard and red, while the ones on the inside of my lower lip are soft and round with white center. When I take lysine both get better. Same goes for other herpes outbreaks…so maybe like DDS Paul Rubin says in his comment, these are all based on the herpes virus. After further inspection of mouth sores, the ones on the inside of the lip could well be cankers, not cold sores as first thought. Seems that following alkaline diet helps. But when there’s a flare up, I still go back to L-lysine for a few days. I used to get canker sores regularly, and in the three years or so that I have stopped using commercial brand toothpaste, I haven’t had any canker sores. I make my own tooth powder, but there are many recipes on the internet using simple ingredients. I have had canker sores since I was young. I used store bought medicine and it would burn until my eyes watered. But now I use Healthy Mouth Blend and it does not burn upon application and the pain goes away instantly. Also, instead of seven days with a canker sore it goes away in about 3 days. Love the Healthy Mouth Blend. I cure them in a couple days with goldenseal tincture. Thanks for sharing. Goldenseal is such a wonderful herb indeed! I try to avoid it due to the fact that it’s been so overharvested in recent years. Thanks for tip #2. I tell people that leaky gut is like chapped intestines, and I find the canker sores and IBD analogy really helpful. Hey Bruce, could it be the salt rather than peanuts? Does this happen with soaked and dehydrated walnuts, or only raw? Chocolate can do it for me (and I eat the 85% stuff) but salt too, usually on the tip of the tongue. The one that had me stumped was a recurring sore on the inside of where my lower wisdom tooth was removed (years ago). It burst and regrew constantly for almost a week and then spontaneously resolved. Next time I’ll try dabbing oils on it! Thanks for stopping by! Yep, the connectivity of the whole body really can’t be overstated these days (when so many health professionals mistakenly over-compartmentalize the body). If GI tissue is suffering at one spot, there’s a better likelihood that it’s suffering elsewhere. Interesting about the site of a wisdom tooth extraction. Sounds to me like there was (is?) an infection under the surface looking to find a way out. Another subject we plan to write on soon is called ‘cavitations’, which are infections under the surface of the gum tissue at the site of an extraction. The late Hal Huggins, modern grandfather of biological dentistry, shared with us before his passing that wisdom teeth are particularly problematic for cavitating if the extraction site isn’t properly cleansed. I hope this helps! This is slightly off-topic and may seem a bit off-the-wall. Years ago I read that biting of the cheek is a sign of a particular vitamin or mineral deficiency. I cannot remember any more than that, but the idea was intriguing. I never pursued it since I seldom bite my cheek, but if it’s a recurring problem for anyone reading this, you might want to attempt to research that further. Thank you so much, Will and Susan, for your interesting and beneficial articles and your integrity. Thank you for stopping by and offering your kind words of support. It means so much to have folks like you who appreciate our work come here and express your appreciation. That’s interesting about recurrent cheek biting and some nutritional deficiency. In a broad way, it makes sense to me. Thanks again for coming by and adding your input! I have had ulcers most of my life. All of the foods you mentioned cause ulcers for me. I learned some of them early. I finally think I have all of them identified. Gluten causes the most painful ulcers and I only figured out that one a few years ago. And chocolate was finally determined recently and oh how I hate giving that one up! I have very little trouble now that I have eliminated so much, but sometimes I just have to have some fruit or a little chocolate. I will try your solution, but I did find a product that actually works quite well a few years back. Canker-rid made from bee propolis. Burns like crazy, but it greatly reduces the pain and they heal much faster. Thank you for all your wonderful articles. I am using the Heal thy mouth system now. Thank you for sharing your experience here. I completely understand your feelings of ‘every once in a while, just having a little’ :). Propolis makes a bunch of sense! Thanks for sharing so others who may read this can help themselves navigate this path a little easier because of your input! Recurring “canker sores” are most often related to a herpes virus that remains “dormant” deep within the tissues until an outbreak is trggered. One of the common triggers is a disruption in the balance in the tissue cells of the paired amino acids lysine/arginine. Too much arginine or too little lysine creates an imbalance that somehow is related to the outbreak of a sore. That’s why peanuts and chocolate (high in arginine) apparently can be triggers, and why a supplement of lysine often helps. Preventively, one tablet daily on an empty stomach can be very effective at making outbreaks fewer and milder. Also, of course, avoiding known triggers. At the first sign of a new outbreak, triple the dose uof lysine ntil the sore is gone. It often makes it milder heal more quickly. Dr Paul, you’re the MAN! Thanks for stopping by again to offer your expert input. We so appreciate networking with you! Quick question while we’re on this topic… I was to understand that canker sores didn’t have a relationship to herpes. Can you send me a source for this concept you’re proposing here so I can do some further reading into it? As always, thank you and ALOHA! Thank you Paul Rubin for re-affirming what I have suspected for years about herpes and canker sores. I have proven to myself that when I take lysine, both herpes sores and canker sores get better. A wet cool tea bag applied directly to the canker and left in place for about 15 minutes twice a day. Generally gets rid of the sore in about 2 to 3 days. I have used this treatment for me and my family for many years with excellent results. Thanks for the idea Joe! Can you share with us any reasoning why this technique you offer helps? My mother eats raisins to prevent canker sores. She no longer gets them at all. According to random internet searches, the reason why raisins or tea works is related to the tannic acid in them. She eats a very small palmful or so every day. I get canker sores so infrequently that I eat them to cure instead of prevent. Thank you for sharing your family story here! I’ve never heard of eating raisins for canker sores. Who knows, perhaps raisins are high in lysine? I kind of doubt it, but perhaps it’s true. We have several readers who shared that using lysine helps to mitigate canker sores. Hmm, I’m stumped by your family cure for canker sores. But hey, if it works, keep doing it!! I would get canker sores as a child and we always healed them by putting powdered alum on the sore for about 30 seconds and then rinsing it off. Doing this for a few times and it took care of the sore. This works great for my husband if the sore is small or regular size, but if it has become huge, he then rinses with a diluted peroxide/water solution and that takes care of it. Great mouth and otherwise overall health info all the time! Thanks you! Very much appreciated! Thanks for stopping by and sharing your appreciation with us! We really do benefit from hearing how others appreciate our work! Thank you for the amazing and informative information, as usual, and all the great comments from your supporters. After lots of research due to oral problems with angular chelitis, I found the importance of B Vitamins in oral health. I thought it would be great to contribute my findings to support yours. Having a genetic condition called MTHFR, I am unable to adequately absorb B vitamins on my own and need a very healthy form of them. I cured the angular chelitis with vitamin B-2 and found that a vitamin B-12 deficiency is often the culprit in canker sores. I have very successfully used B vitamins and L-Lysine for healing quickly, especially if caught early. L-Lysine and lavender essential oil is amazing for cold sores, a similar virus to canker sores. If you place a drop of pure lavender oil on a cold sore, it is amazingly painless and never fully erupts. Usually preventative at the first sign. I love Seeking Health for pure supplements, especially my B vitamins! I love all your great tips and also especially your recommendations for keeping your brush clean! Thanks so much! I also wanted to share some Asian healing with the person who commented on the tea bag. A friend of mine is from Viet Nam and her mom uses all these Asain healing techniques. I was discussing the use of turmeric root in healing with her one day, when she shared the benefits of a wet chamomile tea bag applied to the oral ulcers. I love the fact that your research and recommendations inspire so many ideas that people have successfully used for healing. It is true that when we empower ourselves for optimal health and wellness we inspire others on the same path. Thanks for taking us on this wellness journey! This completely makes sense to us. Chamomile is a tremendous healing herb known to soothe stressed tissues. So, it’s no surprise that a wet chamomile tea bag would help canker sores. This post has really started me thinking! Sorry for another reply! I have researched this so much and have never found a true link between canker sores and cold sores, although similar in characteristics and treatments that work for both. What I have recently discovered is the link canker sores have to autoimmune illnesses. You are a big proponent of how the mouth reveals other problems in the body and vice versa, and it makes sense there could be a link. Canker sores have been a characteristic in both Celiac’s disease and Crohn’s disease, both autoimmune diseases. This is consistent with your gut malabsorption and nutrient deficiency thoughts. Keep up the thought provoking wellness articles! Yep, there’s a direct correlation between canker sores and gut issues (that ultimately result in ‘diseases’ like celiac and crohn’s). I think you are right on (as usual) in that the issue is really one of long term leaky gut that results in malabsorption and nutrient deficiencies (and the obvious insults to the immune system via intestinal permeability). As always, thank you for your insightful input! We usually get canker sores from bumping our gums with a toothbrush. My father-in-law taught me to, when I have bumped my gum, turn the toothbrush over and rub the bumped part with the back of the toothbrush. That usually prevents a canker sore. When I remember to do this, I don’t get a canker sore. When I do have a sore, putting a dollop of coconut oil on the sore helps to heal it. Thank you for adding your home remedy to this discussion! It makes sense that rubbing the stressed area would lower the risk of developing a canker sore as the ‘massage’ will reduce inflammation in the area and speed healing. Makes sense! The cause for canker sores varies so much from person to person. For me ever since I began eating home made sauerkraut each day, I no longer have canker sores, but if I am 4 days without it I get them again. I have a good friend who is plagued with the same plight, but for her the remedy is whey powder from unpasteurized grass fed milk, which for me is difficult to digest. Canker sores are such tricky little monsters fighting back. 15 years ago I found that tincture of myrrh was working wonders, in a matter of hours the canker is healing and no longer painful (untreated it could be over a week). It worked for a while, but then not at all. After suffering a few years, I found that using 95% alcohol would do the job, for a few months, then it no longer helped. A few years later, I found that rinsing for a few minutes would help greatly, then again no relief. It is as if the canker sores developed “resistance” just like bacteria to antibiotics. But how can it be so ?